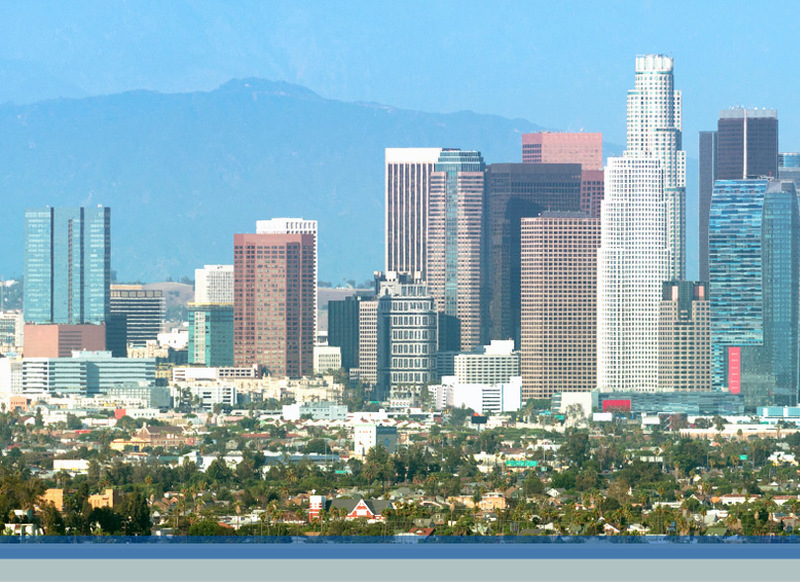 Mark R. Troy is a partner in Crowell & Moring's Government Contracts Group in Los Angeles. He has engaged in government contract-related litigation and counseling for over 28 years. He focuses on defending procurement fraud actions brought by the federal government and by so-called qui tam whistleblowers under the civil False Claims Act (FCA). Early in Mark's career, he defended Hughes Aircraft (v. Schumer) in a cost mischarging case, winning the case on summary judgment, followed by a partial reversal by the Ninth Circuit, followed by complete victory in the U.S. Supreme Court. In 1992, Mark successfully defended General Dynamics (v. Lindenthal) in one of the first modern qui tam cases to go to trial—an eight-month long bench trial alleging falsification of engineering drawings for an Air Force battlefield simulator. In 2002, he was lead counsel for Lockheed Martin (v. Joest) in a successful jury trial alleging non-disclosure of government overpayments on a satellite contract. In 2014, Mark won another defense jury verdict for Lockheed (v. Hooper) in a case claiming over $1 billion in damages based on allegations of fraudulent bidding and false estimates for an Air Force contract to develop a new rocket launching system at Vandenberg and Cape Canaveral. Mark has won pre-trial dismissals in dozens of other landmark FCA cases involving allegations of deficient contractor performance, mischarging, defective pricing, Cost Accounting Standards non-compliance, false testing, product defects, kickbacks and campaign contributions, Medicare fraud, and violations of environmental laws. Mark has worked with clients to develop compliance measures and other procedures aimed at avoiding false claims prosecutions and meeting mandatory disclosure provisions of the Federal Acquisition Regulations. When clients first learn of allegations or an active government investigation, Mark frequently provides on-the-spot strategies for diffusing the situation, conducting a thorough internal investigation aimed at convincing the U.S. Department of Justice not to prosecute. Because most qui tam relators bring claims of employment discrimination or retaliatory discharge, Mark is well versed in how to avoid such claims while still protecting the company's rights against opportunistic whistleblowers. And he has a proven track record in defending such claims in court and in front of juries. Mark is also experienced in handling contract terminations for default, claims for equitable adjustments of contract prices, and disputes over allowable direct and indirect costs. Much of Mark's work in this area has been for small businesses. Mark is a seasoned negotiator with federal officials, contracting officers, and agency lawyers; and he is almost always able to achieve a successful resolution without resorting to the contractor litigating against its government customer. "False Claims Act: What Every Contractor Needs to Know This Year," OOPS 2017, Crowell & Moring's 33rd Annual Ounce of Prevention Seminar, Washington, D.C. (May 4, 2017). Presenters: Brian Tully McLaughlin, Laura M. Kidd Cordova, Mark R. Troy, Mana Elihu Lombardo, Jason M. Crawford, and Megan A. Maitia. "False Claims Act Trends and Emerging Issues," WOOPS 2016, Crowell & Moring's 32nd Annual West Coast Ounce of Prevention Seminar, Marina del Rey, CA (May 18, 2016). Moderator: Mark R. Troy; Panelists: Mana Elihu Lombardo and Megan A. Maitia. "Health Care," WOOPS 2015, Crowell & Moring's West Coast Ounce of Prevention Seminar, Marina del Rey, CA (May 14, 2015). Moderator: David J. Ginsberg; Panelists: Kevin B. Kroeker, Scott J. Moore, and Mark R. Troy. "False Claims Act: Does the Road (To Liability) Go On Forever?" WOOPS 2015, Crowell & Moring's West Coast Ounce of Prevention Seminar, Marina del Rey, CA (May 14, 2015). Moderator: Mark R. Troy; Panelists: Brian Tully McLaughlin and Mana Elihu Lombardo. "False Claims Act: Does the Road (To Liability) Go On Forever?" OOPS 2015, Crowell & Moring's 31st Annual Ounce of Prevention Seminar, Washington, D.C. (May 5-6, 2015). Moderator: Brian Tully McLaughlin; Panelists: Andy Liu, Mark R. Troy, and Mana Elihu Lombardo. "Blowing the Whistle and Not Blowing the Case: Qui Tam Advice for Employment Litigators," 35th Annual Labor and Employment Law Symposium, Los Angeles, CA (February 12, 2015). Moderator: Mark R. Troy. "The False Claims Act: Recent Lessons in the Courts and a Look Ahead as Cases and Recoveries Continue to Rise," West Coast Ounce of Prevention Seminar (WOOPS), Manhattan Beach, CA (August 8, 2014). Moderator: Gail D. Zirkelbach; Presenters: Mark Troy, Mana Elihu Lombardo, and Brian Tully McLaughlin. "The False Claims Act: Recent Lessons in the Courts and a Look Ahead as Cases and Recoveries Continue to Rise," OOPS 2014, Crowell & Moring's 30th Annual Ounce of Prevention Seminar, Washington, D.C. (May 13-14, 2014). Moderator: Brian Tully McLaughlin; Presenters: Andy Liu, Mark R. Troy, Jason C. Lynch. "Anatomy of a Procurement Fraud Investigation," Crowell & Moring's 2013 Ounce of Prevention Seminar (OOPS), Washington, D.C. (May 14-15, 2013). Presenters: Philip T. Inglima, Peter Eyre, J. Catherine Kunz, and Mark R. Troy. "What Every Southern California Business Should Know About Government Regulations and Enforcement in 2012," Association of Corporate Counsel (ACC), Southern California Chapter, MCLE Program (March 21, 2012). Presenters: Janet Levine, Christopher K. Lui, Angela B. Styles, and Mark R. Troy. "False Claims Act Developments: Congress Opens the Floodgates While Courts Mop Up The Mess," 27th Annual Ounce of Prevention Seminar (OOPS), Crowell & Moring, Washington, D.C. (May 24-26, 2011). Co-Presenters: Robert T. Rhoad, Mark R. Troy, Andy Liu, and Jonathan Cone. "DOJ on Line One, WSJ on Line Two: How to Make the Right Calls in the Worst Case Scenario," Association of Corporate Counsel, Southern California Chapter, August ACCESS MCLE program (August 2010). Presenters: Kelly Currie, Michael Cypers, Janet Levine, Jeff Rutherford, Mark Troy, and Katie Balderrama. "False Claims Act Roundtable," California Lawyer (June 2010). Panelist: Mark R. Troy. "Contract Fraud: One Year After FERA," Caught in the Federal Procurement Fish Bowl, 26th Annual Ounce of Prevention Seminar (OOPS), Crowell & Moring, Washington, D.C. (May 26-27, 2010). Presenters: Mark R. Troy, Robert T. Rhoad, Andy Liu, and Mana E. Lombardo. "Changes to the False Claims Act and How They Impact Government Contractors," Washington Legal Foundation (June 24, 2009). Presenter: Mark R. Troy. "The Minefield of Federal Procurement Fraud Enforcement," Lorman Seminars (June 2008). Presenter: Mark R. Troy. "FCA Enforcement in Procurement and Non-traditional Areas," ABA National Institute on FCA (2006). Presenter: Mark R. Troy. "FCA Pre-trial Procedure," ABA National Institute on FCA (2004). Presenter: Mark R. Troy. "Government Intervention – Caesar Decides," CLE International Conference on False Claims Act (2003). Presenter: Mark R. Troy. "The Hot Areas – How Is The False Claims Act Being Applied/Exploited?" CLE International Conference on False Claims Act (2001). Presenter: Mark R. Troy. "Court Dismisses FCA Suit Alleging that Grocery Chain Failed to Collect Sales Tax," Crowell & Moring's Government Contracts Legal Forum (April 19, 2018). Authors: Mark R. Troy and Jason M. Crawford. "Tenth Circuit Enforces Whistleblower’s Release of Retaliatory Discharge Claim," Crowell & Moring's Whistleblower Watch (February 17, 2015). Author: Mark R. Troy. "Government Contracting: Terms, Risks & Sanctions," San Fernando Valley Bar Association's Valley Lawyer (April 2012). Co-Authors: Mark R. Troy, Mana E. Lombardo, and J. Catherine Kunz. "Supreme Court Holds FOIA Response Falls Within FCA Public Disclosure Bar," BNA Federal Contracts Report (September 13, 2011). Co-Authors: Mark R. Troy and Mana E. Lombardo. "Qui Tam Settlements: Is the Government Being Short-changed?" Andrews Gov't Cont. Litig. Rep. (November 21, 2009). Author: Mark R. Troy. "One False Move," Daily Journal (July 31, 2009). Author: Mark R. Troy. "New Federal Fraud Law Implements Key Changes to False Claims Act," Andrews Gov't Cont. Litig. Rep. (June 29, 2009). Author: Mark R. Troy. "The Supreme Court's Rockwell Decision Bars Qui Tam Relators From Piggybacking Onto the Government's Allegations," Andrews Gov't Cont. Litig. Rep. (April 9, 2007). Author: Mark R. Troy. "The Early Round Knockout Punch to a Qui Tam Action," The Procurement Lawyer (Winter 2006). Author: Mark R. Troy. "Can Local Governments Be Subjected to Treble Damages for Misuse of Federal Funds?" Public Law Journal of the State Bar of California (Winter 2003). Author: Mark R. Troy. "False Claims Act: Supreme Court Decision Leaves Qui Tam Questions Unanswered," The Procurement Lawyer (Fall 1997). Co-Author: Mark R. Troy. "Qui Tam Lawsuits In The Employment Context," Employment Law Counselor (July 15, 1994). Co-Author: Mark R. Troy. "Qui Tam Update: Without Government Support, Relators Usually Come Up Empty Handed," The Corporate Analyst (May 1994). Co-Author: Mark R. Troy. "Qui Tam Provisions of the False Claims Act," Los Angeles Lawyer (March 1992). Co-Author: Mark R. Troy. Top Verdicts: U.S. ex. rel. Hopper v. Lockheed Martin Corp.